The world loves roses. Chances are you have been toying with the idea of having your own rosegarden, or maybe just a couple of bushes. Growing roses is a rewarding hobby and can bring you great pleasure when you finally see the results of your hard work. Make no mistake, successfully growing roses is not like growing petunias. Most roses are demanding, be prepared to devote a little more time and effort, and - yes - money. You will definitely need to invest in and take the time to apply fertilizers and various chemicals to ward off or treat disease, as well as necessary insecticides. If you are not prepared to dedicate time and effort into maintaining and growing roses, don't start and expect any great results. Survey the space you have available for growing roses. Remember, with very few exceptions, you will need a spot that receives at least 6 to 8 hours of sun. Soil should be rich in peat, humus or supplemented with organic compost. There are infinite selections of roses of all types to choose from. 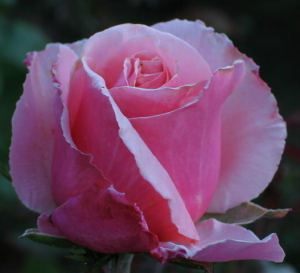 Each will respond well to general rose care, but will also require different treatment depending on your climate zone. Think about growing habits. You can purchase miniature roses suitable for edging and walkway borders, shrubs that can attain heights of 8 feet or more, climbers or pillar roses for fences or trellises, hybrid tea roses for beds and mass display in temperate climates. So you can see, it is important that you pick the right rose for the space you have available. You will have an initial investment of time and money in preparing the ground, so don't be cheap and try to save money on the plants themselves. Go to a local nursery that specializes in roses and tell them what you have in mind. They will be able to advise you as to the best possible choices and plants that will grow and thrive in your particular backyard garden.